Well, as Cinder is basically the Cinderella story told with a cyborg as Cinderella, it is only fitting that we the story of how Cinder came to live with her stepmother and two stepsisters, and that is exactly what Glitches is. 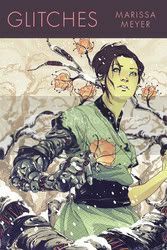 This is a very quick read and gives us a solid introduction to the characters in Cinder's "family", but as everyone knows the Cinderella story, you'll be instantly familiar with how this short story will turn out. Glitches is an ebook only prequel released from tor.com and is available at most ebook outlets. Love Struck by Melissa Marr is a short eBook that, at least to me, reads like a long introduction to what should be an actual book. Murrin, a selchie (or fey creature who could turn into a seal and live in the ocean) has fallen in love with Alana, and wanted to try his hand at actually dating her like a proper mortal as opposed to trapping her into magically loving her by using his Other-Skin, which would bind them together if she touched it. Except, she is more or less tricked into touching his Other-Skin by another selchie, and then as Murrin and Alana grow closer, she's not sure if her feelings for him are real or a result of the fey magic. And... that's about all that happens. Murrin spends the story trying to prove his actual love and Alana tries to reconcile her feelings. Really, there's nothing special with this one, but it isn't a bad read. Just a quick short tale about a girl and the selchie who loves her, and what that ends up meaning to both of them.It just seemed like this is something that could be fleshed out into a more involved story if it were longer. X-Men: Messiah CompleX by Ed Brubaker, et al. A reread as I'm catching up on some of the major back stories before I start reading some of the current stuff, so I'm just re-posting my review from before. OK, so my interest in the X-Men mythos had been dwindling for some time now, and right up to this collection is about where I began to quit buying the monthly comics. The stories had been lackluster, and even though there seemed to be some potential, it just hadn't quite come through for me. And then came Messiah Complex. The writers of Messiah CompleX finally brought all of the wandering plot threads that had been hanging around for awhile and started to weave them back together into a cohesive and well constructed story. In other words, they sucked me right back in again. After the events of House of M, there hadn't been a single mutant birth. That changed, however, with the birth of a mutant so powerful that she registered immediately at birth, instead of when her powers would have manifested themselves at puberty. Her birth brought together the Marauders, the Purifiers and the X-Men in a war over her very existence. Almost every X-Team out there joined in for the search for the child, hoping that she is a sign for the continued existence of mutants; the Purifiers consider her the Antichrist and are trying to kill her outright; and Sinister's interest in the child remains a mystery. 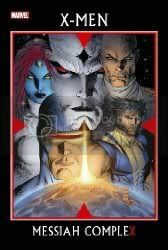 Overall, a really great story and one that helped to get me interested again in the X-Men mythos. Highly recommended, but only for X-Men fans. Mainspring is a hard book to categorize. It's like a theological steampunk/clockpunk adventure amalgamation. In this world, the Earth is actually a large clockwork that travels a cog orbit, the traveling gear spanning the Equatorial Wall that separates the planet into Northern and Southern Earth, with the moon following it's own cog orbit around the Earth. As the story opens, young apprentice Hethor is visited by the Archangel Gabriel and told that he must find the Key Perilous to wind the Mainspring of the world, as it is beginning to run down and slip and if he doesn't accomplish this holy task, the world will end. What follows is an adventure worthy of Robert Louis Stevenson with underlying tones of religion and theology. The basis of the religion of Northern Earth is a Clockwork Christianity (complete with a Brass Christ), but as Hethor journeys farther and farther in his mission and meets more people, he begins to question what he has been taught in his religious upbringing and instead begins to follow his own heart and path, even if these thoughts would normally be seen as heresy where he comes from. There is actually some deep theological thought processes going on in this book, which just added another layer of thought-provoking goodness to the story. I was pleasantly surprised by the entire story with Mainspring. 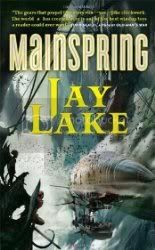 I wasn't actually sure what to expect (I thought I was actually just getting into a steampunk adventure), but Jay Lake weaves so much into this story concerning religion and what it can actually mean to each person when given the chance to view it away from their upbringing, it actually leaves quite a bit to think about. Don't get me wrong, though. There is plenty of adventure to big had; air ships, African jungles, polar expeditions, winged savages, clockwork statues, magicians. It seems Mainspring may actually have a little bit for everybody! 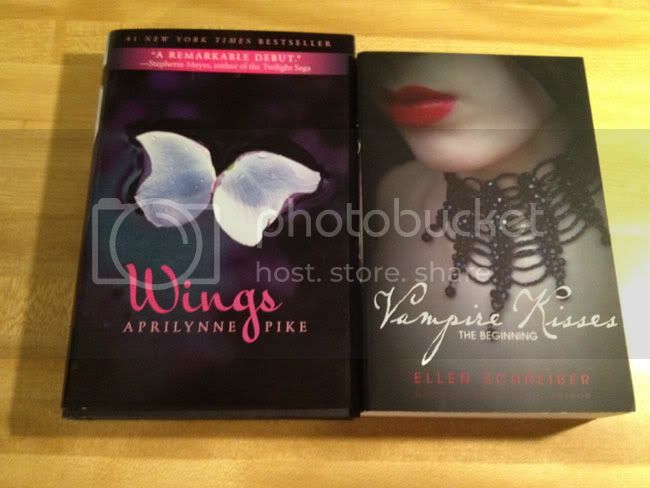 As an extra added bonus, both copies of Wings and Vampire Kisses are signed by the authors! 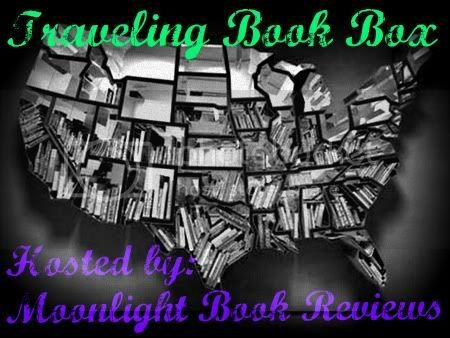 If you'd be interested in signing up for the Traveling Book Box, stop by Moonlight Book Reviews, read up on the project and see if it's something you'd like to participate in. Katherine Townsend has been having visions. Nothing serious, just one minute she's in her life, and in the next blink, she's in a sun-filled meadow, and blink, she's back. They happen about once a week and that's that. She's been having them since her dad died two years ago and she won't tell anyone about them because she's pretty sure they'll think it's because of her dad. She lives in a factory town that is slowly dying at a coffee shop that has almost no customers. Her boyfriend left her. She still lives with her mom. Little does she know that she just has a couple of days to save the world. She is the child of two worlds that have been separated from ours through an ancient magic, and unless she can figure out keep the worlds from crashing back together again, everyone and everything she knows will be destroyed. OK, I really wanted to like this book. 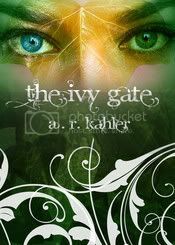 I had a hard time deciding how to review The Ivy Gate, only because I did enjoy reading it, I just felt there was a lot of room for growth. Kahler's writing is really beautiful and quite vivid and he has some great imagery, but... Well, too many times he tries to use unique sentence breaks and structures to create a sense of break in Katherine's thinking and time due to the visions that in some cases it became hard to follow what he was trying to convey. Add that to the number of typos in the book and I kept finding myself pulled out of the story. There is also the basis of the story that I found very confusing. Katherine has a blue eye and a green eye, and this is because once upon a time there were two races on Earth before humans, the blue-eyed Erenfell and the green-eyed Til'Dara. The Til'dara were magical and the Erenfell were more scientific. Each race has a different history and mythology, but basically they were at war with each other and the Erenfell separated the planes of existence to keep the Til'Dara from destroying everything. This is where I became confused; it was never made abundantly clear how many planes of existence were made. I had the initial impression that there were two, but later it was mentioned that there were three, which made more sense with the story. It all seemed very vague. Maybe it was supposed to be, but it felt too vague for me. Or maybe I just missed something in the reading, but needless to say, I found myself more confused than not during my reading. The book is perhaps too short, as well. By the time I was halfway through, I was already hoping that this was book one of two, if not a series, as there seemed far too much going on to wrap up everything before the of the book. Kahler did wrap everything up, and did it in a reasonable manner, but I think the book would benefit greatly if it was longer. It just seemed to me that Katherine, who started out the book with no prior knowledge of the existence of the other races and then found out she had mere days to save the world with no information from either side on how to do it, gained far too much knowledge far too quickly. I know there is a need for the suspension of disbelief in a fantasy novel, even one I would consider urban fantasy, but this just seemed to require too much of a suspension. I would like to see Kahler revisit this story someday, later in his writing career, and expand on this idea. It's a great idea, don't get me wrong, but I think it would be even better if he took time to nurture it and let it grow a little, along with his writing technique. I'll definitely be looking for more from Kahler in the future. Good morning, fellow Salon Members! Huzzah to a new year and fresh starts! After what proved my most challenging year in so many respects in 2011, I'm looking afresh to 2012 and feeling good about it. I just squeaked by in 2011 with 75 books, only because I chose to re-read several favorites at the end of the year, just so I wouldn't have to think about them too hard. I have also moved this year into a new place, and in packing and putting my hands on each of my 1500+ books, I've realized how many great books I own and haven't read yet, so to that end I'm going to attempt to read more than I purchase this year. I know I say the same thing each and every year, but in truth, I'm spending more on my new place, so my disposable income for books is a little less than it has been in years past, so this is going to work in my favor. I'll simply have to read what I've got on my shelf, as I won't be able to buy as usual. Of course, the same exceptions as always hold: graphic novels, my Oz books and books picked up at book signings. The only "challenge" that I'm participating in this year is one of my own making. 2012 marks the 100th birthday of one of my favorite authors, May Sarton, and I have decided to do a Sarton Centennial Reading Celebration. By my count, I have 56 books to read. I'm going to skip the collected books of poetry as they will already have been in other volumes and I'm skipping an anthology of previously released works. I figure if I read one volume per week, and some are slim so I can double up in a couple of weeks, there's no reason why I shouldn't be able to finish them all by the end of the year, in addition to any other reading I want to do. As for my reading so far this year, I've finished 5 books and will hopefully finish the sixth today, but I may end up unpacking all day, so I'll see how that goes. 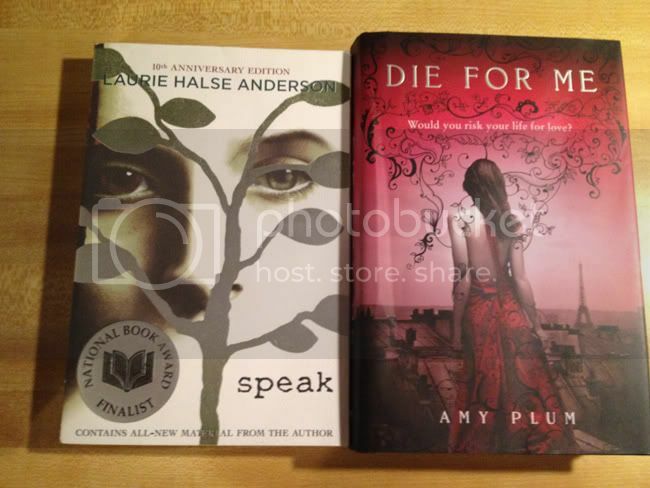 I have high hopes for my reading this year and have set my reading goal a little higher than I ever have at 120 books. I may just be setting myself up for failure, but I want to give it a try. Well, that's all for this week from my little corner of the blogosphere. I hope everyone is staying warm on this chilly winter morning and as always, happy reading! Truth be told, I always have a hard time reviewing poetry. Poetry can be so ethereal; each reading can give me something different to think about, so I never know quite what to write. 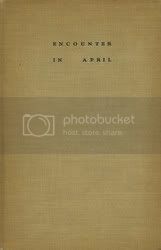 With Encounter in April, both May Sarton's first book of poetry and her first published work, you can clearly see the beginnings of the life-long poet that she would become; the works are structured and clean, but don't quite have the polished emotion and raw confidence of her later poetry. These aren't poems to be taken lightly, however, as they are still powerful in their own right. This morning, I started my one single "challenge" that I'm going to participate in this year. Some of you may or may not know that my favorite author is May Sarton. She was a prolific writer in her lifetime, publishing upwards of over 50 books of poetry, novels, memoirs and journals. She is probably most well known for Journal of a Solitude, in which she discusses the highs and lows and necessity of solitude and having a space of your own and coming to terms with all that comes with that. I was introduced to her writing in high school, and it spoke to me on many levels, then and now. In the subsequent years, I have acquired her entire printed oeuvre, mostly first editions and signed, including some of her rare chapbooks and festschrift. She passed away in 1995 and 2012 would have been her 100th birthday, so I have taken this year as my Sarton Centennial Reading Celebration. I want to read through my entire Sarton library this year. I think I'm going to skip over her books of collected poetry, as these poems are already located in other books of poetry and one anthology, which reprints earlier works. I'm thinking about reading everything chronologically to her writing, but I may end up jumping around a little. I have counted a total of 56 books that should round out my reading for the year. If times permits, I may add in some of the books of literary criticism that have been published on her works over the years, but I think I mostly want to stay focused on her writing. Centuries ago, humans drove the last of the dragons from islands and took them as their own and built their homes and villages on the islands. Now, the last of the dragons, lost as an egg for two hundred years, has been born and it's up the the village healer's daughter and a would-be hero to devise a way to dispose of the dragon before it destroys the village. I'm not going to lie. I felt bad for the dragon. It was only living it's life, doing what dragons do, eating the livestock and occasional villager, just making its lonely way on the island, and the villagers decide that it needs to be killed. Humans can be so pushy sometimes. 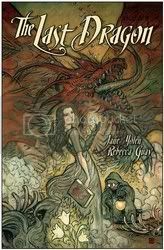 All kidding aside, the story is actually quite lyrical and Rebecca Guay's art is gorgeous. I don't think story would stand up nearly as well on its own if it wasn't for the art. This is neither a long nor challenging read, so I'd recommend it with 4 stars, if not for just the art alone. I'm not entirely sure how to take this book. 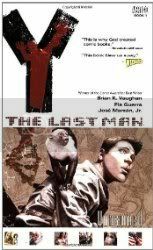 Basically, the premise is ALL the males on the ENTIRE planet have died, regardless of species apparently, with the exception of slacker Yorick Brown and his Capuchin monkey, Ampersand. Why they are the only two males left on the planet is part of the mystery. The women try to take charge of the situation, running the governments of the world as best they can with the limited resources that are left (For instance, electricity is no longer available. Why? Were the only people capable of managing to run the electric plants men? This is one of the things that seemed rather unbelievable for me in this very unbelievable scenario.) and trying to keep a semblance of order in a world that seems to be falling apart at the seems. The women in general seem to miss their men, but there is also a growing group of "Amazons" who are glad that the "oppressive" men are gone, leaving the world for the women (never mind that in this scenario, the entire populace of the entire world is definitely running on a finite timeline, so I'd tend to think that even these extremists would see the need for having males around, if nothing more than sources of reproduction). Some scientists are looking into cloning as a means of keeping the human race alive. I kept thinking, "What happened to the sperm banks? What about the pregnancies and births that occurred after the initial 'plague' wiped out all the men?" Maybe these are all things that will be dealt with in subsequent volumes, but as of now, I'm left scratching my head at what seem like obvious problems with the storyline, even though the entire story was still entertaining. And of course, the big question is how does Yorick fit into all of this? Well, some of the women look at him as the means to jumpstart the human race again. Some of the women want to kill him, as he's the last "oppressor" on the planet. And what does Yorick want? To get to Australia to find his girlfriend who he proposed to over the phone at the exact moment everything went to hell, even though there really doesn't seem to be a way to get to her from Washington DC anymore. The art is good; it's not great, but it isn't bad. I can't tell if the story is supposed to be taken seriously or if it's supposed to be a dark comedy; maybe it's supposed to be read a little as each. I'm giving it 3 stars, but I'm interested enough in what's happening to read at least one more volume to see if some of my questions are answered.